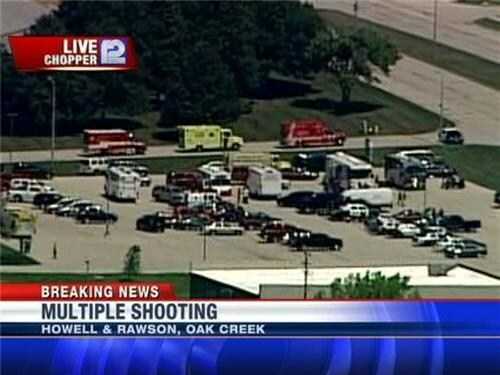 Sikh Temple Shooting: Why Do the Media Care Less About This Attack? On Sunday night I turned on the TV to find that only CNN was covering the Sikh temple shooting in Wisconsin that killed six. Fox News had a program about a prison in Latin America, and MSNBC, something else that was equally irrelevant. Compare this with the coverage of an incident that happened only two weeks ago, the shooting that killed 12 people in Aurora, Colo. Networks devoted themselves round-the-clock to the attack: Who was the shooter? Why did he do it? There were entire segments dedicated (rightly) to covering the vigils and a community in mourning. This time, there was none of that. Instead, TV commentators asked tentative questions about a religion that few had heard of. There was none of the sense of outrage that followed the Aurora massacre, none of the national heartbreak and grief that seemed so pervasive only two weeks ago. On the Sunday after the Aurora shooting, I'd taken a taxi to see The Dark Knight Rises. The cabbie told me to "be careful" when I stepped out and headed to the theater. This time around, even the man behind the counter at my neighborhood Indian grocery store found out about the incident several hours after it had happened. "We only knew when people from India began calling us," he told me. So, obviously, the question is: Why is it that the American people, and the American media in particular, care less about this attack?